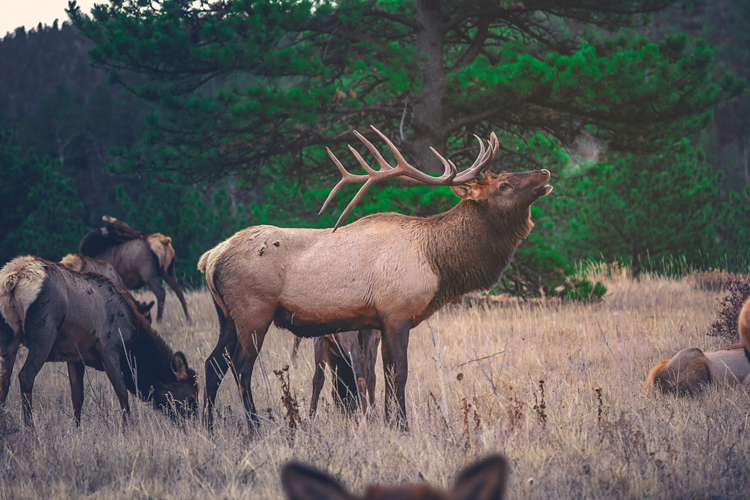 Whether you live in Estes Park year-round or you just came for a breath of fresh mountain air, there’s a good chance you’ll find yourself on a trail at some point during your stay. As the gateway to Rocky Mountain National Park, this charming Rocky Mountain village offers hiking options in every direction and all just minutes from downtown. To help you decide which trails to try for yourself, we rounded up ten of our top picks. We even included two that are outside of the park so your dog can come along as well. Enjoy! Located in Rocky Mountain National Park, this hike is popular amongst view-seekers and wildlife viewers. From the Bierstadt Lake Trailhead, the climb begins steeply until you reach the top of Bierstadt Moraine. From there, it continues to climb at a steady incline and you’ll be rewarded with spectacular views of the mountains along the Continental Divide. Hikers in the past have seen moose wading in the lake, so keep your eyes open! Located in Hermit Park, an open space just outside Estes Park, the Kruger Rock Trail is one of the best hikes in the area for families and dogs. Just about four miles round trip, the out-and-back trail is relatively flat, but includes a few steep stretches and a rock scramble at the end so you can still get a good workout. Entry into Hermit Park will cost $6, but the views at the top are worth it! Beginning at Lumpy Ridge Trailhead, the Gem Lake Trail covers some of Rocky Mountain National Park’s most interesting sights, astounding views and compelling history. To start out, you’ll climb portions of Lumpy Ridge, a massive granite rock outcropping that has been sculpted by wind and erosion over nearly two billion years. Along the way, you’ll also pass the historic MacGregor Ranch, views of Longs Peak, and Paul Bunyan’s Boot, a huge boot-shaped rock with a hole through it. At the top, you’ll reach Gem Lake, a basin with no inlet or outlet stream that is filled with trapped snowmelt and rainwater. Located just outside Rocky Mountain National Park in the Roosevelt National Forest, Lily Mountain is one of the few dog-friendly hikes in the area and is included on RMNP trail maps. At the top, you’ll get to enjoy panoramic views of the park, including Mount Meeker, Longs Peak, the mountains along the Continental Divide, Estes Cone, and Twin Sisters Peak — but not before a steep climb and rock scramble. Keep your eye out for signs and cairns that will mark the trail in places and keep trekking — the view is worth it! This easy Rocky Mountain National Park hike provides alpine tundra views without all the climbing required on other trails. Once used by Arapaho and Ute Indians on their way between winter and summer hunting grounds, the Ute Crossing Trailhead is unmarked except for a small, informational kiosk. Along the way, keep an eye out for wildflowers, elk, pikas and other animals that can live above 11,000 feet. After traversing the wildflower and wildlife-filled landscape, you’ll reach Timberline Pass which is where most hikers end their Ute Trail trek. Because you’ll be traveling through alpine tundra, be sure to bring layers! Above the treeline, weather can get windy, cold and stormy very quickly. Always turn around if the clouds indicate rain or lightning. 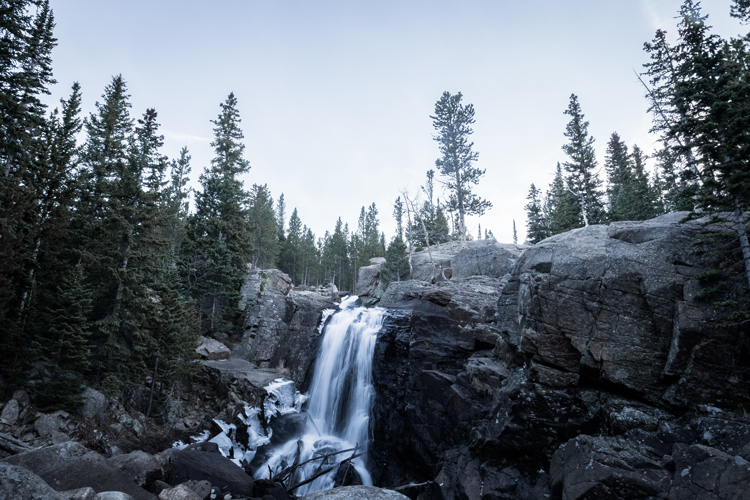 As one of the most beautiful and satisfying sights in Rocky Mountain National Park, the trek to Ouzel Falls is a must. Starting out, the trail could be busy because many families will be making the short trip to Copeland Falls. But after you leave the crowds behind at the smaller waterfall, you’ll continue for 1.5 miles up a moderate grade to reach Calypso Cascades. Embark up a steep grade on the last leg of the adventure until you hit the roaring, 40-foot Ouzel Falls. Look for the faint trail on the left side of the creek which will take you either to the base of the falls or above them for amazing views! This Rocky Mountain National Park hike climbs steadily the whole way with a steeper trail over the last quarter mile. This makes it a challenging hike for beginners, but the views along the way and at the top are well worth the challenge! You’ll pass the 30-foot Alberta Falls, Icy Brook and several other waterfalls before eventually reaching The Loch at 10,190 feet. Experienced hikers can continue up to Sky Pond! The Glacier Gorge Trailhead is one of the most popular in the park, so if you’re arriving after 8 a.m. you may want to consider parking elsewhere and using the free park shuttle to access the trailhead. This out-and-back Rocky Mountain National Park trail is one of the best in the park. Due to elevation changes, stretches of steep climbing and a rock scramble before reaching the lake, this hike is usually rated between moderate and strenuous. 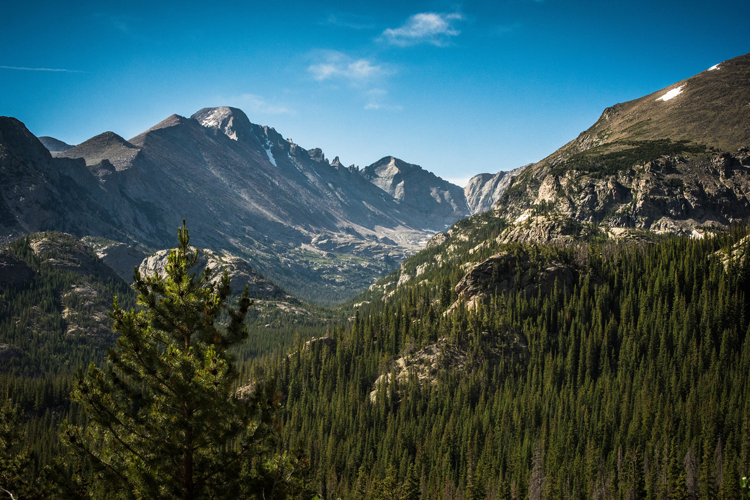 Once you reach Chasm Lake, your workout is rewarded with a jaw-dropping view of Longs Peak. Along the way, you’ll also get a birds’ eye view of Emerald Lake! Be sure to dress in layers. Once you get above the treeline, the wind picks up and the temperatures get much chillier. There’s an old-fashioned outhouse at the top of the trailhead, so be sure to stop in before you head back down. Thanks to Rocky Mountain National Park’s free shuttle system, this must-see trail is available as a one-way route. Begin your journey at Bear Lake and head toward Odessa Lake and Flattop Mountain. Along the route, you’ll pass four picturesque mountain lakes and Fern Falls, a jaw-dropping, 60-foot waterfall! You’ll know you’ve reached the eight-mile mark when you pass through Arch Rocks, two house-sized rocks that landed here years ago. Once you reach Fern Lake Trailhead, you can turn around to double your mileage or hop on the shuttle to get back to your car at Bear Lake. As one of the most difficult and also most rewarding hikes in Rocky Mountain National Park, this trail is more suitable for experienced hikers. From the Poudre Lake Trailhead at Milner Pass, this trail begins around Poudre Lake and continues up challenging terrain to provide some of the best views in the park. The peak sits at 12,889 feet, so you’ll definitely want to bring layers as conditions will be much windier and colder at the top. But trust us, the challenge is worth it! You’ll get to enjoy 360-degree views of the Never Summer Mountains, the Mummy Range, Terra Tomah Mountain, Mt. Julian, Cracktop Mountain, Longs Peak, Julian Lake, Shadow Mountain Lake, Azure Lake, and Inkwell Lake — and that’s just the short list! 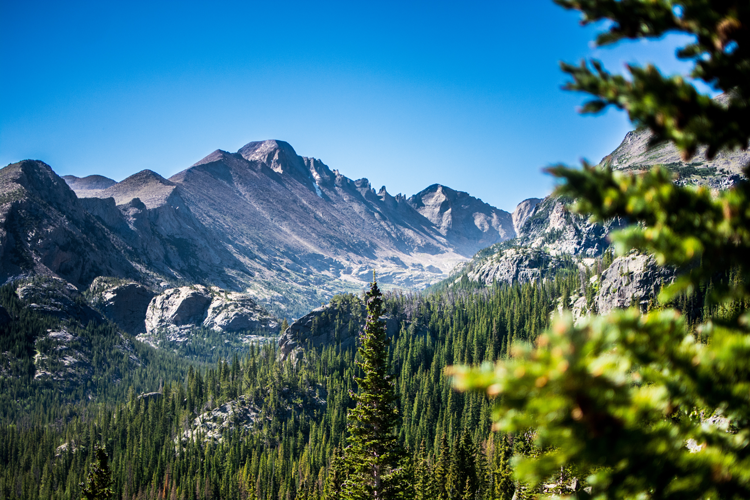 We know there are so many jaw-dropping Estes Park hikes, that we couldn’t list them all. 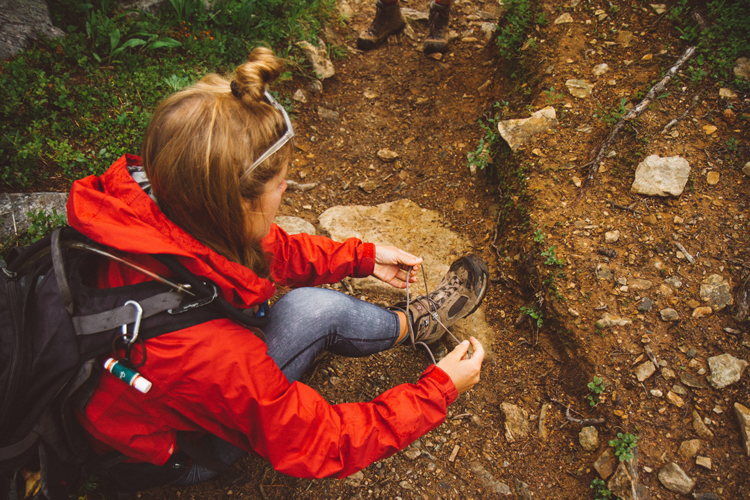 In the comments below, let us know which trails you hike again and again!